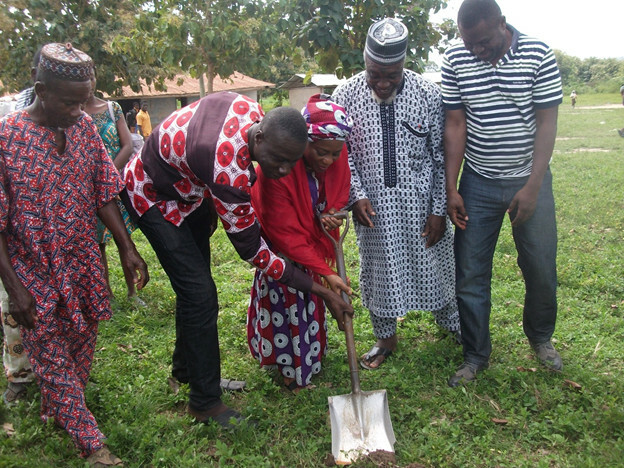 Lawyer Charity Akua Foriwaa Dwommoh, the District Chief Executive for Tain in the Brong Ahafo region has cut the sod for the construction of a six unit classroom block for the Brohani L/A English and Arabic primary school. The project, spearheaded by the second lady of the republic, Samira Bawumia would be founded by the Islamic Council for Development and Humanitarian Services (ICODEHS). The DCE said the project was in fulfilment of the promise made by the second lady to the community during the campaign period. She appealed the people to continuing supporting the Nana Addo led government as government is determine to deliver on its mandate. The new classroom block to be completed within three months will have office and urinal to facilitate teaching and learning especially Arabic in the area.